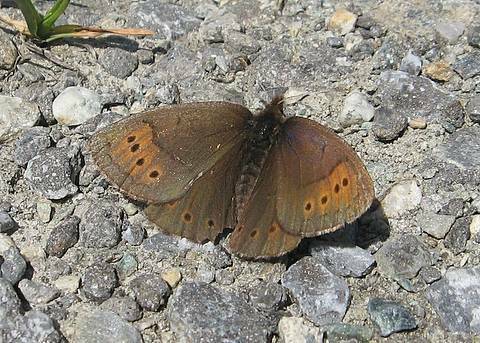 The Dewy Ringlet flies in high alpine meadows where I understand it is often a fairly common Erebia and one of the earlier fliers in the genus at the high altitudes. 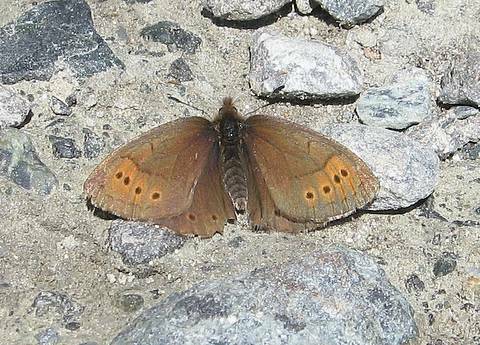 The above set of photos were taken in the the Alps at around 2200m. 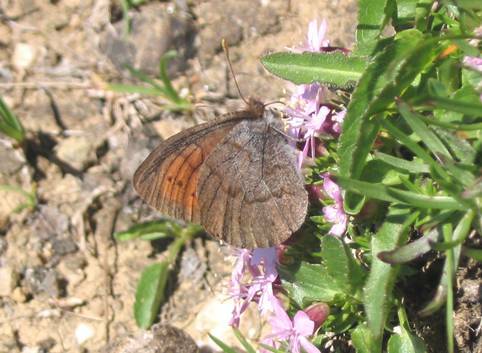 Whilst the forewing is very characteristic, the underside of the hindwing can show marked variation in ground colour from grey to brown. 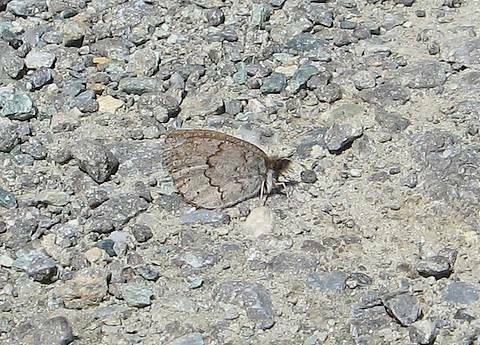 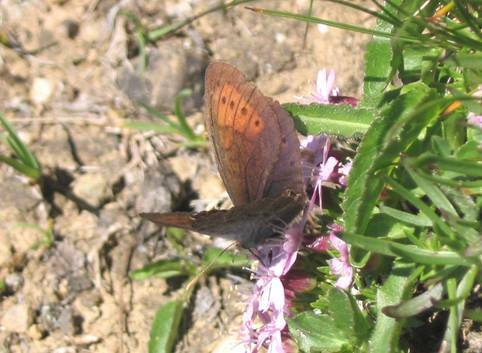 The strong grey undersides could cause confusion with brassy ringlets and in any event in the Pyrenees confusion is possible with the similar False Dewy Ringlet (Erebia sthennyo).